? Are You a professional? We provide professionals with innovative programs focused on sound/symbol correspondence and printing - helping children build the foundational skills they need to jumpstart their academic success. Easy to Teach and It Works! In addition to alphabet sounds and alphabet printing, our innovative programs teach children the value of hard work and perseverance. Also, our small-group format and coach-led tutoring style makes each child feel like they are part of something special - increasing motivation and confidence. Our alphabet phonics program focuses on picture association and key words to help children learn letter sounds quickly and accurately. Our program is composed of short bursts of 5-minute activities that integrate kinesthetic (movement-based) and tactile (sensory-based) learning strategies with visual and auditory concepts. Our results-oriented program includes easy to oversee assessments to track progress on an ongoing basis, building confidence with each constructive review. The letters themselves are designed to look like real objects. This learning strategy gives meaning to what is typically an abstract concept for children. By remembering the picture, children remember the letter it represents. Our clinical trials have shown that our programs accelerate letter learning. Student who have tried many times to learn their letter sounds with little success have excelled with our programs. Our program works because it teaches letter sounds in a fun,meaningful, and easy way for children to learn. It’s that simple! 1. Triggers semantic memory by focusing on learning letter sounds through picture association. 3. Focuses on the whole alphabet at once. We focus on the whole alphabet, rather than one letter at a time, to allow children to learn the alphabet sounds in the order that works best for them – accelerating the learning process. 4. Uses multiple modalities for multisensory learning. Finger tracing the letters while simultaneously saying the letter sound helps the child remember the letter by linking the visual, auditory, semantic, and motor memory systems. 5. Teaches how to print automatically from memory. Printing each letter the same way every time reduces confusion and increases automaticity. When printing is automatic, the mind is free to think of ideas rather than how to print each letter. When kids don’t know the basic sounds that the alphabet letters represent, it is virtually impossible for them to “sound out” words. Knowing the letter sounds is vital in the process of learning to read. Join our network of certified coaches network and enhance your practice by tapping into the growing early literacy market. In addition, our program encourages learning in small groups, uniting kids under a common goal to foster important values and productive collaboration – multiplying revenue potential per session. by insitim consetuor de laterr. Our licensed coaching programs are quick and easy to integrate into professional practice. After a few hours of training, you will be ready to go. At the forefront of children's literacy! 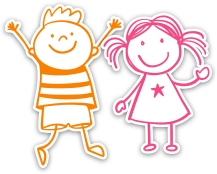 Reading Gym is a Speech-Language Pathology organization focusing on children literacy. We make kids’ literacy fun, engaging, and most of all accessible. Our proven alphabet phonics programs teach kids printing and sound/symbol correspondence – helping them develop fundamental oral and written skills. Together, let’s make literacy fun, engaging and most of all, accessible. 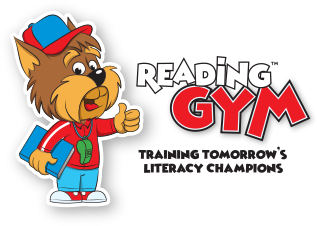 Reading Gym is a Speech-Language Pathology organization focusing on children’s literacy. We make kids’ literacy fun, engaging and most of all, accessible. Our clinically proven alphabet phonics programs teach kids sound/symbol correspondence and printing – building skills and confidence. Ⓒ 2018 READING GYM. All rights reserved.